Mouvex, a leading manufacturer of positive displacement pumps, will be featuring a variety of its industry-leading pumps and screw compressors for the transfer of liquids and dry bulk products at the upcoming IAA Commercial Vehicles, taking place from 20-27 September in Hannover, Germany. Exhibiting in Hall 25 Stand C39 at this year’s show, Mouvex will be debuting its new which has been developed as a vehicle-mounted solution for loading and unloading petroleum products for trucks. This new pump includes all of the same cutting-edge features and benefits as the Mouvex CC8 pump while incorporating a variety of new enhancements designed to make the pump smaller, lighter (70.6 lbs./32 kg), quieter (72 dBA) and more environmentally friendly while increasing pump efficiency and reducing delivery times. Along with these advancements, the CC10-24 features an integrated by-pass designed to protect against excessive pressures and overheating, and is equipped with a 500-micron strainer. Mouvex CC10-24 pumps are also virtually maintenance free, reversible and have been engineered with double ball bearings for longer pump life. Additionally, these pumps are ATEX certified and available with a 3-year warranty. In addition, Mouvex will also be offering a special preview of its MX12 screw compressors at the event, where two prototypes will be on display in the booth. Designed to be a more compact solution than the Mouvex Typhon II screw compressor while offering the same flow rates, the MX12 is an ideal solution and better fit for trucks with less space. MX12 compressors will be officially launched at the start of 2019. The latest improvements to the Mouvex MH6 screw compressor will also be featured at the show. 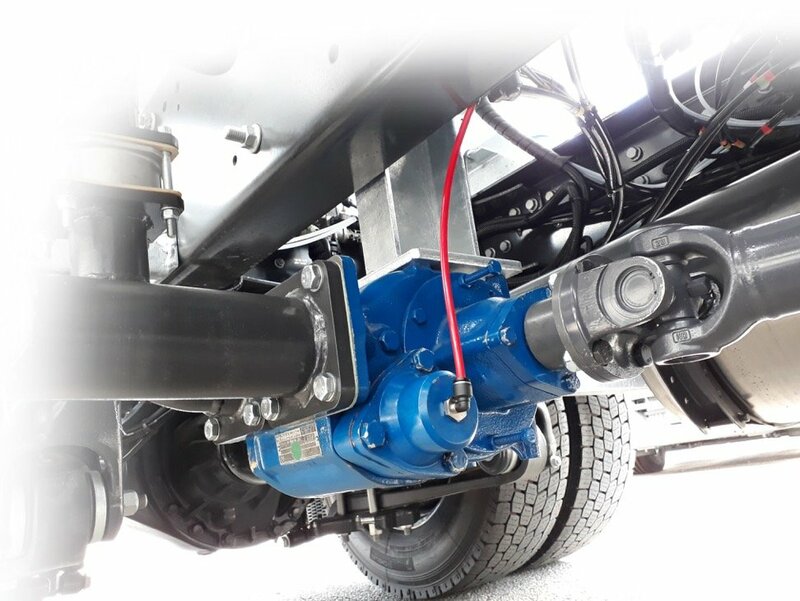 One of the key improvements to the MH6 is the ability to directly mount the compressor on a truck’s gearbox with integrated power takeoff (PTO) – a feature specifically designed for the main brands of European trucks. The MH6 also offers a 70% weight reduction when compared to traditional screw compressors. This reduction in weight allows the MH6 the ability to provide fleets with increased turnover per truck per year that equates to improved revenues, while also meeting the requirements of the European Union’s Euro 6 legislation. Mouvex will also be sharing a booth with sister PSG company Blackmer. At the show, Blackmer will be showcasing a variety of its sliding vane pumps for the transfer of liquid and gas products, including the STX3, TXH3 and LGL1. Designed for maximum performance and reliability, Blackmer pumps are ideally suited for a wide variety of critical LPG, petroleum and chemical applications.Utilizing Blackmer’s unique sliding vane design, these positive displacement pumps offer the best-combined characteristics of sustained high-level performance, energy efficiency, trouble-free operation and low maintenance cost.